This has been staring at me ever since it entered my house. It is begging me to hold it, wind it, knit it. I promised myself that I wouldn't touch it until I finished at least one of my current WIPs. But I don't know how much longer my willpower will last. 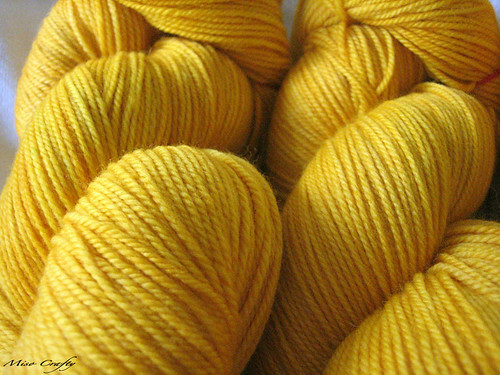 This yarn, she's a mighty temptress!